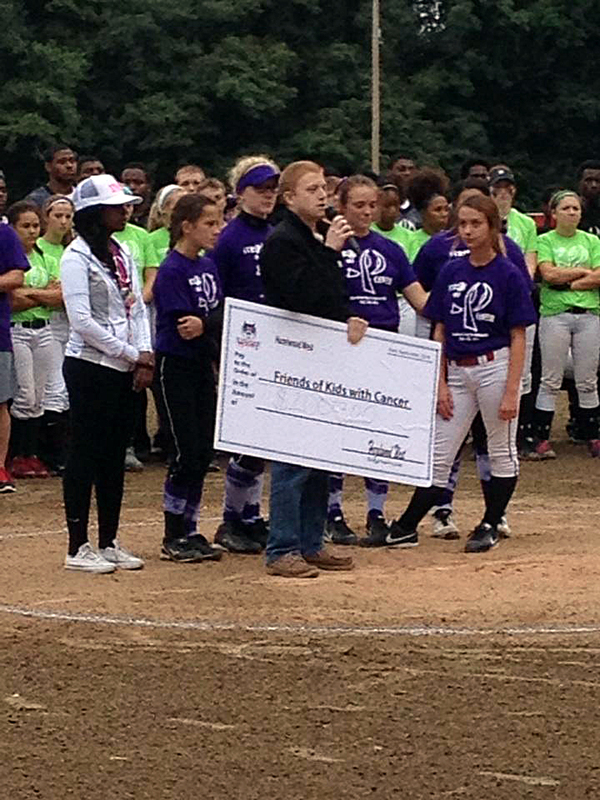 Friends of Kids with Cancer | Former patient and high school softball team raise $2,000! Former patient and high school softball team raise $2,000! 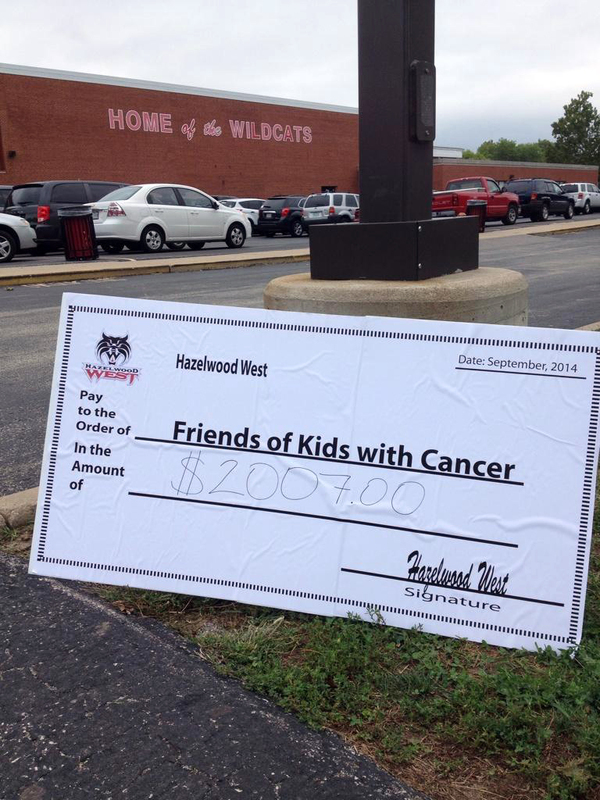 On Friday, September 12, 2014, the Hazelwood West High School softball team presented Friends of Kids with Cancer with a check for $2,007! 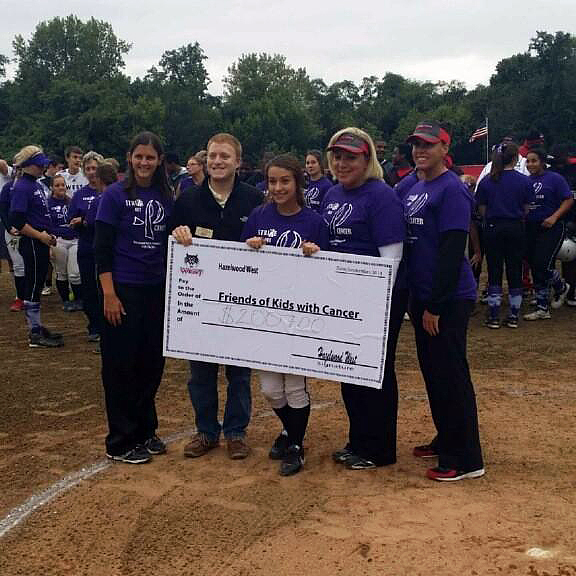 Hazelwood West High School student and softball player Danielle K. was a cancer patient in the past and received services and programs provided by Friends of Kids with Cancer. The Hazelwood West softball team organized a fundraiser for Friends of Kids with Cancer and had a beautiful presentation before their game with the entire athletic student-body in attendance to watch Danielle and her teammates present ‘Friends’ their donation. We’d like to send a HUGE thank you to Danielle, the Hazelwood West softball team, students, parents, faculty and anyone else who contributed to this awesome fundraiser! Your generosity will truly make a difference for a child going through treatment for cancer and their families!